Animal Crossing: Pocket Camp (Free) has hit the big One, retaining a good player base throughout the twelve months as so many other free-to-play titles based on familiar franchises have entered the market. The game has been in celebration mode all month, a real treat consider events are normally only days long. First up was Isabelle’s Party Prep Project, in two parts, with furniture rewards. Second was the Anniversary Scavenger Hunt, with clothing rewards. And now it’s time for the third and final event in the Anniversary Extravaganza, Fishing Tourney #8! 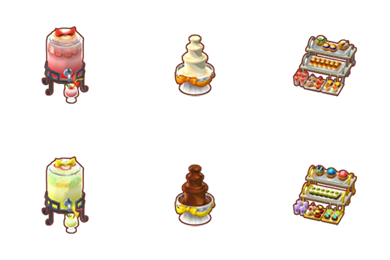 The Fishing Tourney rewards food and drink items to complete your anniversary campsite. Before visiting Saltwater Shores to get fishing, be sure to stop by the Market Place and speak to Isabelle for some lovely celebratory words. Afterwards, head to the beach and visit Chip to learn about his current craving: gold fish! No, not goldfish, but gold fish variants of what normally lurks beneath the surface. Gold Horse Mackerel, Gold Olive Flounder, Gold Football Fish, and massive Gold Tuna await your bait. Whereas there have been rewards during past Fishing Tourneys for catching regular fish between rounds, all rewards are focused on the gold fish this time around. Until November 28, you will also get an anniversary floor tile per day logged into the game. There are six Anniversary floor tiles that combine to form an image. Afterwards, you’ll earn one Gold Treat per day, maxing out at six if you’ve been logging in since November 16. 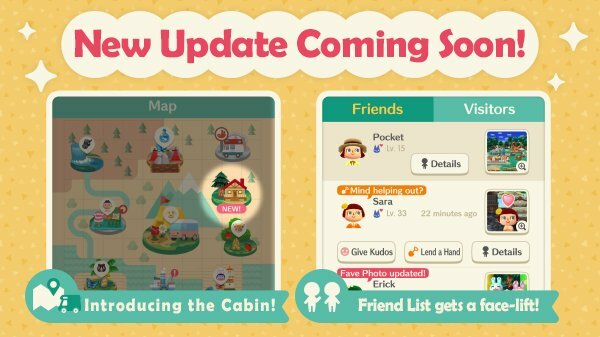 No anniversary is complete without also looking ahead, and Animal Crossing: Pocket Camp has done that: coming soon will be an cabin to decorate and visit with campers, the ability to display photos in the friend list, and an inventory increase (your maximum furniture and clothing items will go from 2,000 to 3,000). 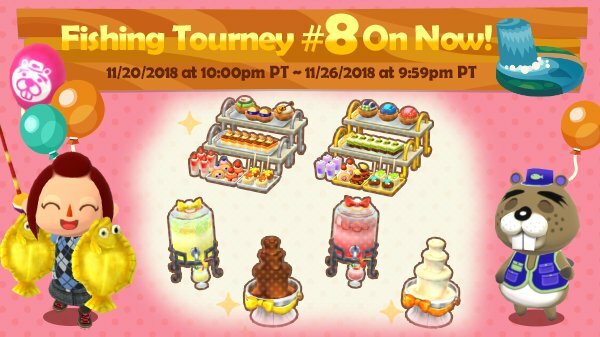 Fishing Tourney #8 is on until 1 a.m. EST on November 27. The trophy will be in your mailbox at that time, so be sure to pick it up! And if you haven’t earned enough anniversary candles to be rewarded with the cake, your time isn’t up! Participate in the Fishing Tourney to earn candles.